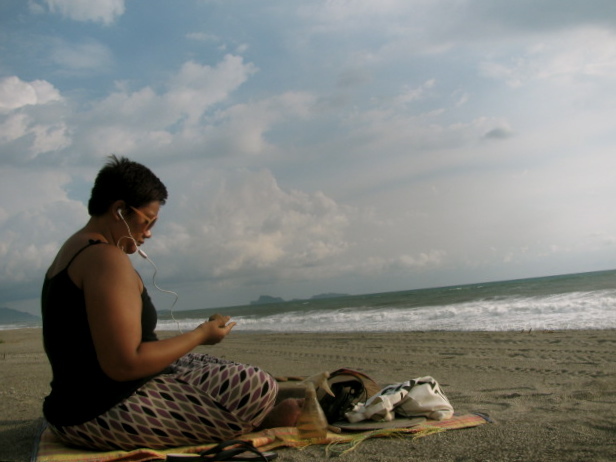 Before Hampas ng La Paz (Part 11) – CREATE. PLAY. TRANSFORM. A spur of the moment idea needs preparation too. 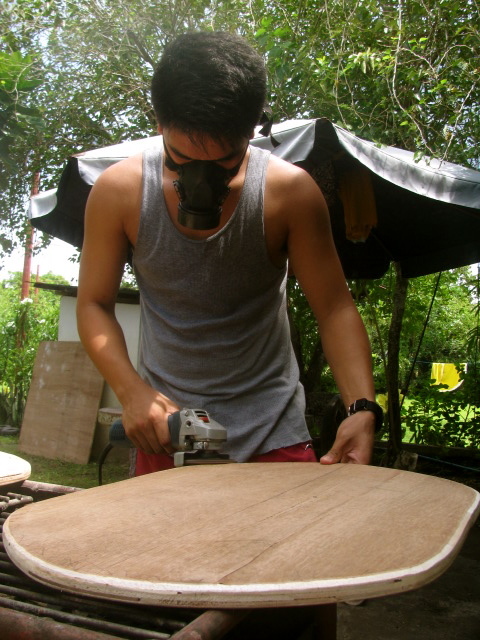 The first local skimboarding competition and the first pottery workshop in San Narciso, Zambales, were born in July 2013. I had less than one month to prepare for the pottery workshop, sourcing of clay, making trophies, gathering people, etc. Without the help of the locals and the staff of Villa Kiana Inn, Hampas ng La Paz will not become a reality. 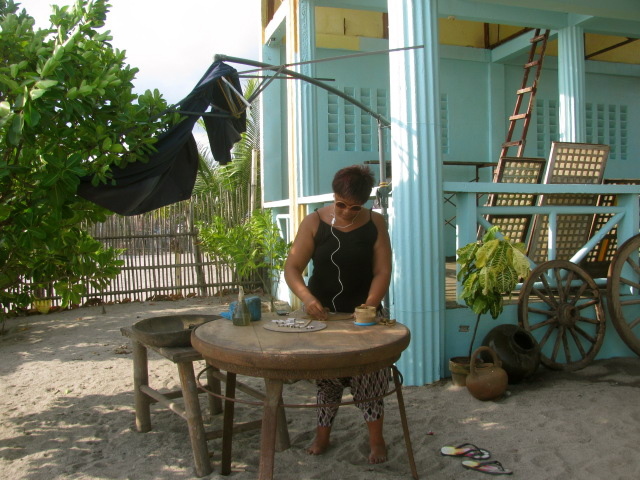 The preparation started by bringing in old, wooden, furniture from Villa Kiana Inn to the beachfront. With the yellow paint, starting to fade, I’ve asked permission from my uncle, if we could paint the walls with a different color. 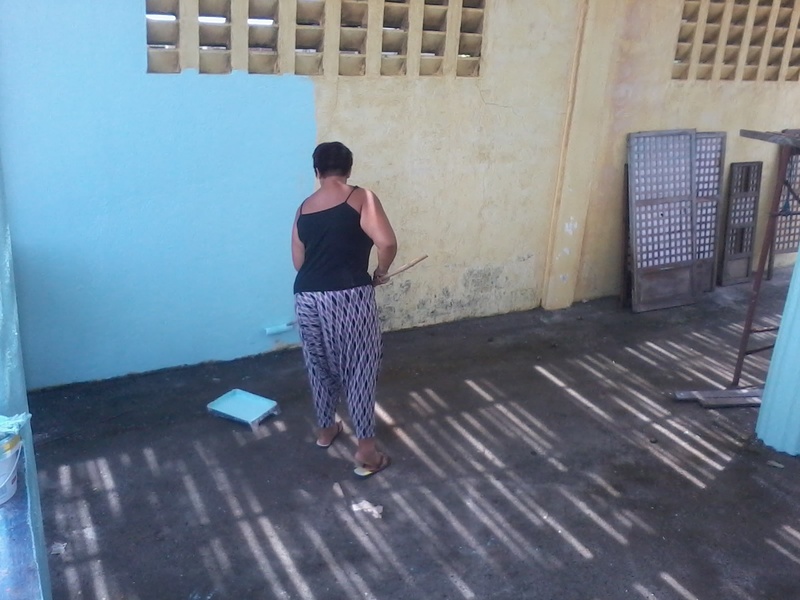 Thanks to my dearest cousin, Gail, for supporting the wall paint project. A couple of indo-boards were created. Balancing on the board on dry land helps a lot plus it’s a good way of exercising the lower part of the body too! 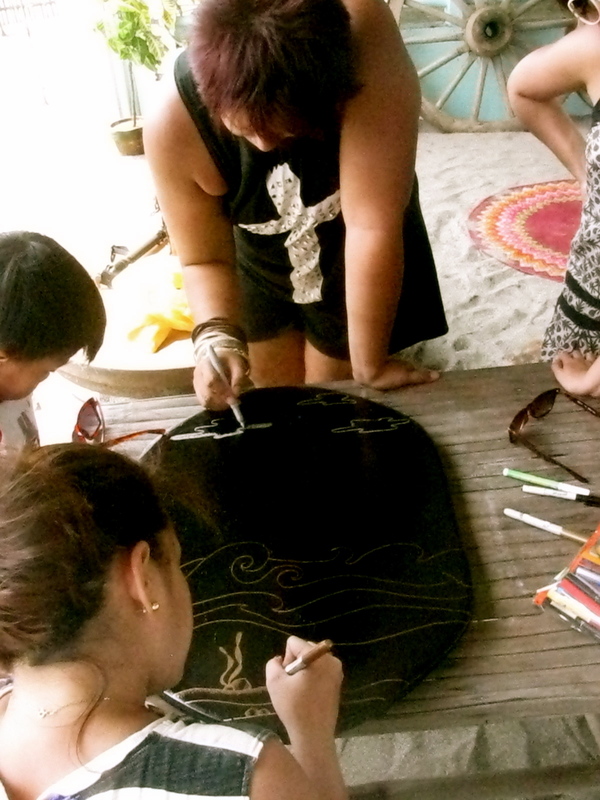 Gela helps us design the black painted indo-board. Making the trophies with terracotta was a good high for me. Making the trophies right in front of the crashing waves cleared my mind from unnecessary thoughts. This is my therapy. 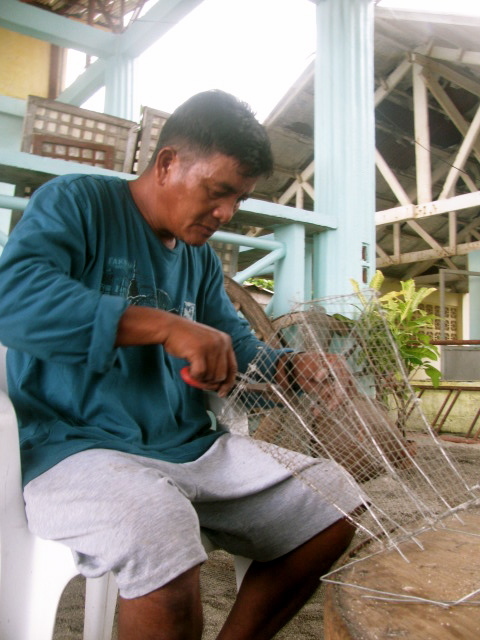 Thanks to Mang Boyet, for creating these light casings, made from chicken wire. Hands were busy preparing for Hampas ng La Paz. Busy hands in forming pieces out of clay, busy hands in shaping and painting boards, busy hands while carrying heavy things, busy hands in lighting up a fire, busy hands in shaking other people’s hands, busy hands in tapping the competitors’ backs, busy hands while eating, busy hands that are held tight while believing for a good weather, etc. We were all busy before, during, and after the event. But at the end of the day, everyone felt special. We were all tired after the event. 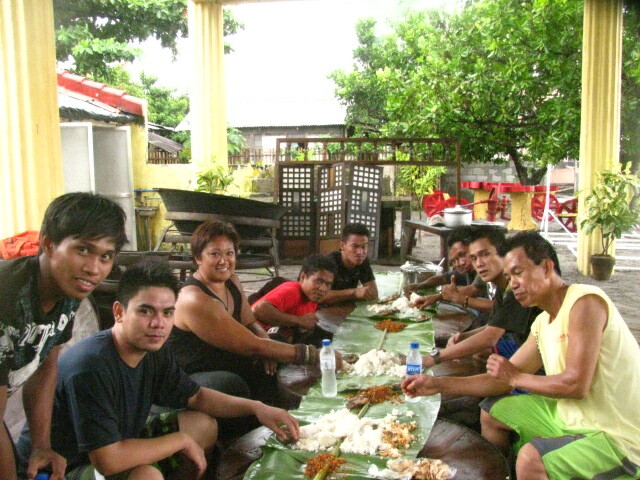 But we were all proud of all the hard work we did for one another and for Barangay La Paz, San Narciso, Zambales. A humble town with a lot of talented people who are waiting to be discovered.